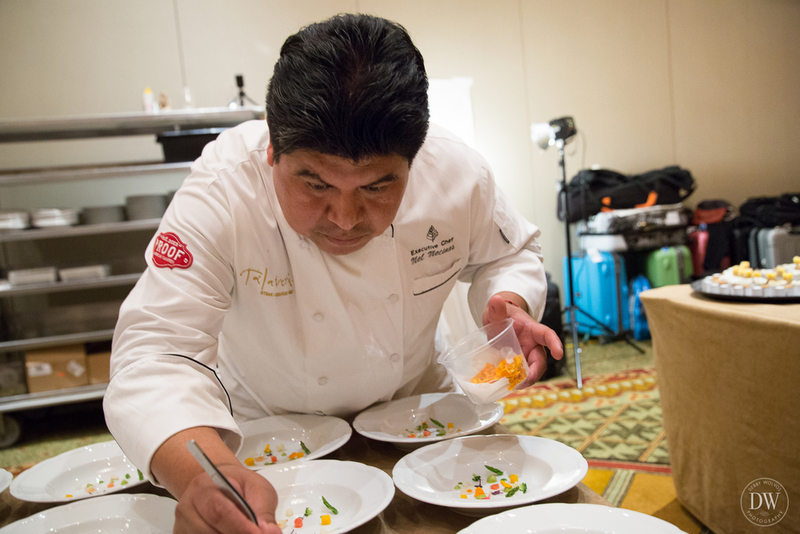 Those in the culinary know were abuzz with excitement about El Celler de Can Roca's visit to Arizona last week. Based in Girona, Spain, the acclaimed restaurant and the three Roca brothers - Executive Chef Joan, Sommelier Josep, and Pastry Chef Jordi - are renowned for innovative gastronomic achievements rooted in traditional Catalan cuisine, a 40,000 bottle wine collection (El Celler is Catalan for "the winery"), and creative, whimsical desserts inspired by colors and fragrances. El Celler de Can Roca's accolades include 2013 and 2015 best restaurant in the world on the prestigous World’s 50 Best Restaurants list published by British Restaurant Magazine. 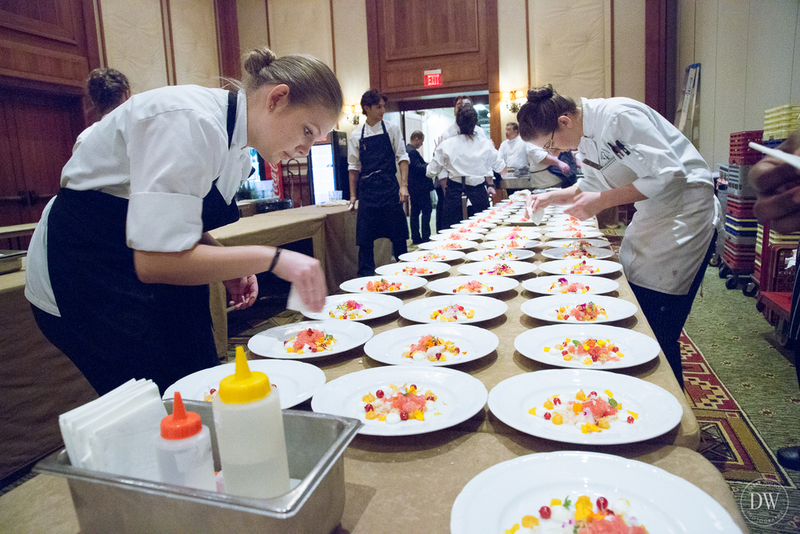 They were awarded their first Michelin star in 1995, their second in 2002, and received their third in 2009. 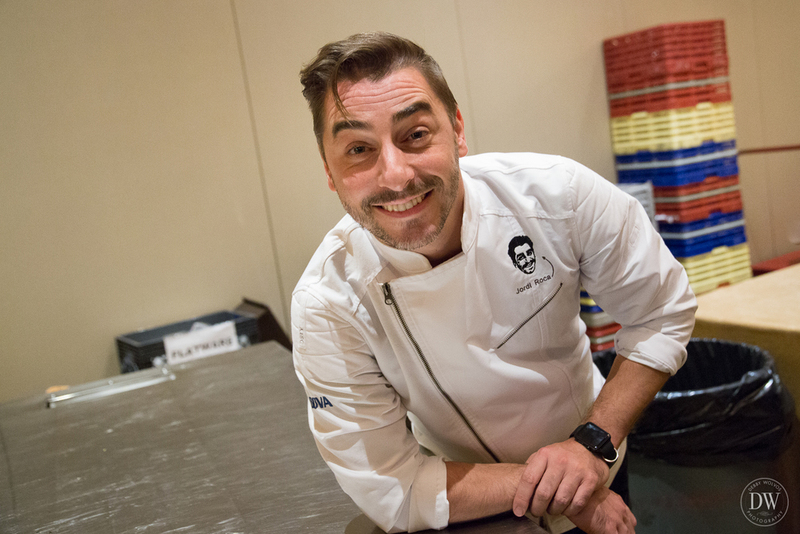 In addition, Joan Roca has been recognized as 2ooo Chef of the Year by the Spanish Academy of Gastronomy and in 2016 received the Chef’s Choice Award from the World's 50 Best, while Jordi Roca is the recipient of Restaurant Magazine's 2014 best pastry chef in the world. 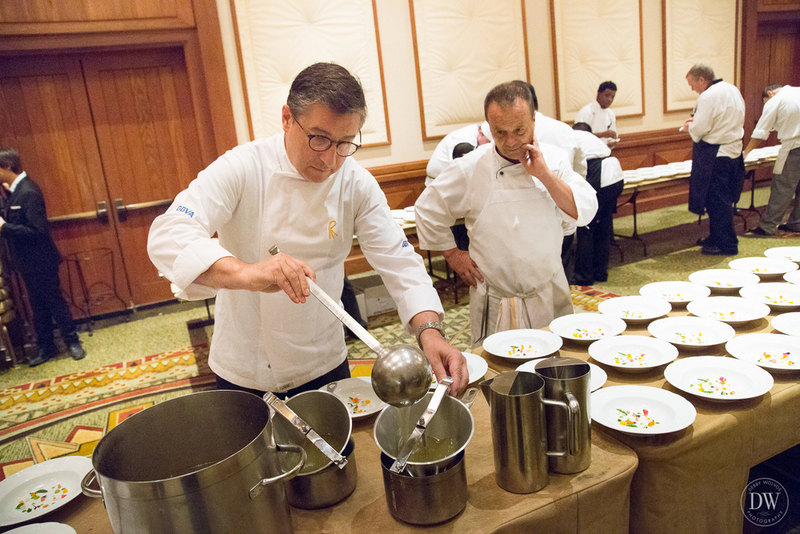 In collaboration with BBVA, the tour, now in its third year, is a way for the BBVA and El Celler de Can Roca to thank their loyal customers, and the three dinners hosted at The Four Seasons Scottsdale were by invitation only. The global itinerary visited London (July 30-August 7) and Hong Kong (August 8-13), arriving in Phoenix to spend August 14-19, before heading to San Francisco (August 20-27) and Santiago de Chile (August 27-September 4). The week of events involved a Tuesday morning master class for the students and alumni of the Arizona Culinary Institute, a private wine tasting led by Sommelier Josep Roca which I attended (link here), and three dinners held at the Four Seasons Scottsdale to showcase the spectacular food and wine of El Celler de Can Roca. 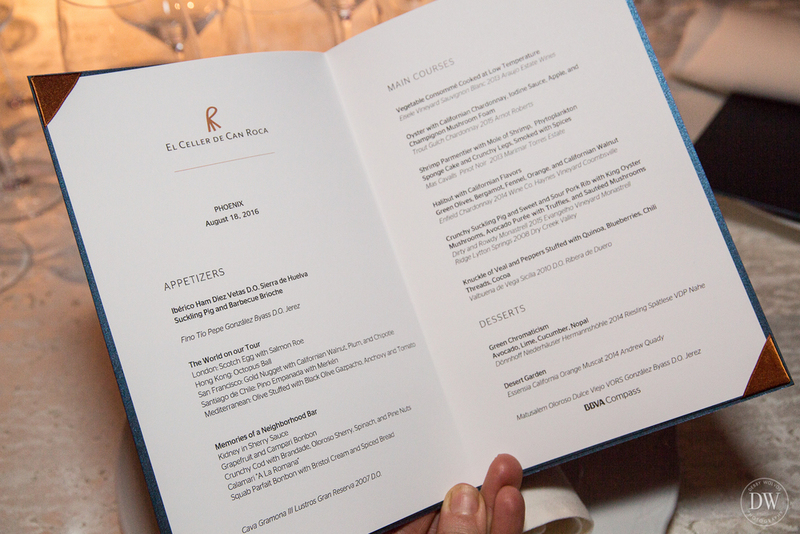 On Thursday, August 18, I was thrilled to be invited to cover this exclusive event. 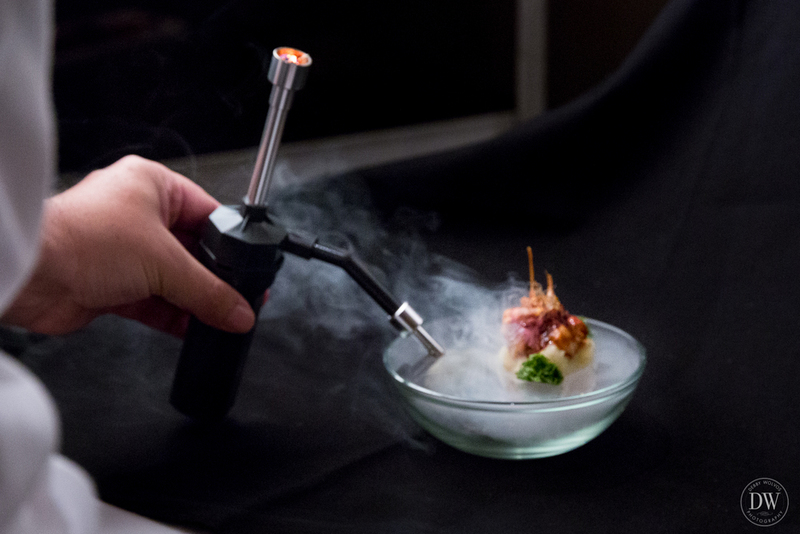 Award-winning food photographer Debby Wolvos of DW Photography captured the night in behind-the-scenes photos. Sommelier Josep Roca, Four Seasons Chef Emmanuel Calderon, Executive Chef Joan Roca, Four Seasons Executive Chef Mel Mecinas, and Pastry Chef Jordi Roca. Our memorable evening began with a cocktail reception serving passed appetizers of savory barbecue suckling pig on mini brioche buns and silky slices of Jamón Ibérico Bellota 10 Vetas from Consorcio de Jabugo, Spain. Guests also sipped on sherry and The Macallan cocktails. 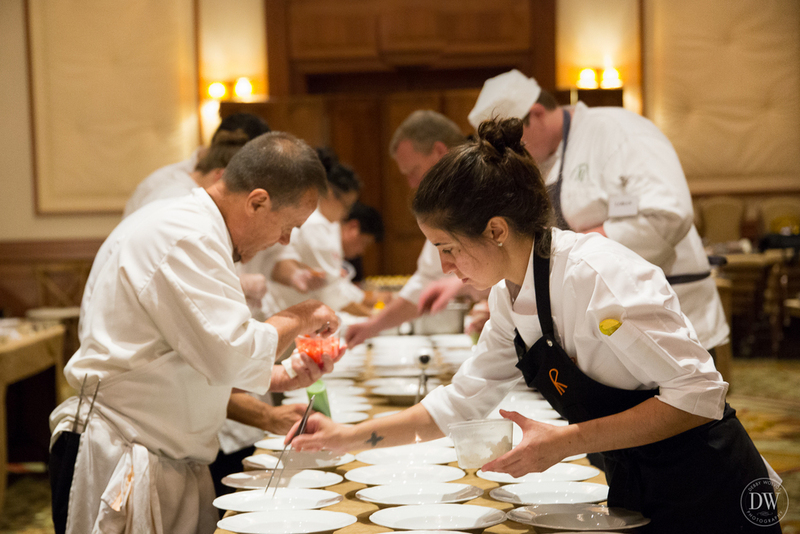 One hundred guests of the BBVA were then led to a beautiful room to enjoy an 11-course fete of 18 dishes, 200 ingredients, and 11 wines. 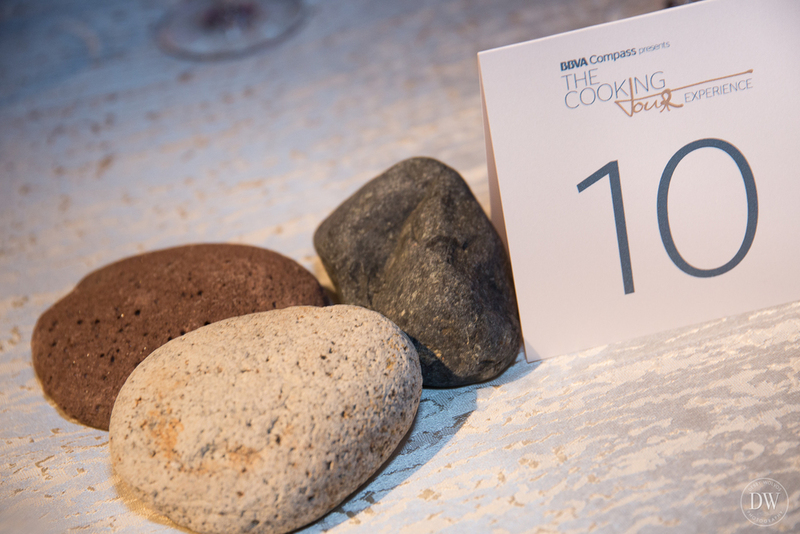 The impressive menu included dishes specially created for Phoenix diners using ingredients chosen on the El Celler de Can Roca reconnaissance visit earlier this spring, and each elegant table setting was anchored by three stones representing the three Roca brothers. 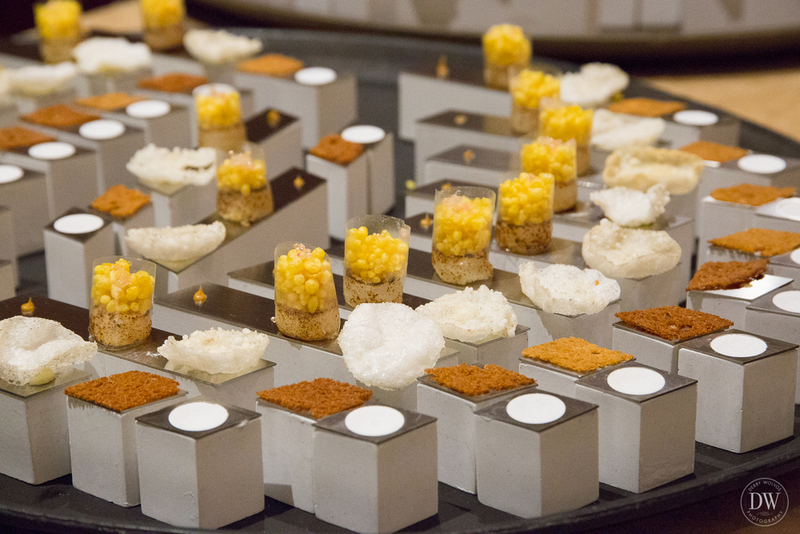 Guests were greeted with glasses of sparkling Gramona Cava Imperial Gran Reserva and then our feast began - a stunning repast of amazing flavors and intriguing technique displayed in a visual feast for the eyes. El Món (The World) is a Celler de Can Roca signature of five dishes representing the Rocas' world travels and was cleverly unveiled by unwrapping a pleated paper globe.. The World on our Tour: London Scotch egg with salmon roe; Hong Kong octopus ball; San Francisco Gold Nugget with walnut, plum and chipotle; Santiago de Chile pino (empanada) filled with picadillo seasoned with merkén (a Chilean spice blend); Spanish olive stuffed with black olive gazpacho, anchovy, and tomato. Memories of a Neighborhood Bar featured a three-dimensional pop-up of the brothers' time spent in their parents' bar Can Roca. Joan is in the kitchen, Josep at the bar, and young Jordi is riding his bicycle. From left to right: Crispy cod chip with brandade, spinach, and pine nuts; calamari wrapped in an edible transparent tower filled with crunchy batter balls; fried kidney with sherry; pigeon parfait on spiced bread; Campari and grapefruit bon bon in a cocoa butter shell. 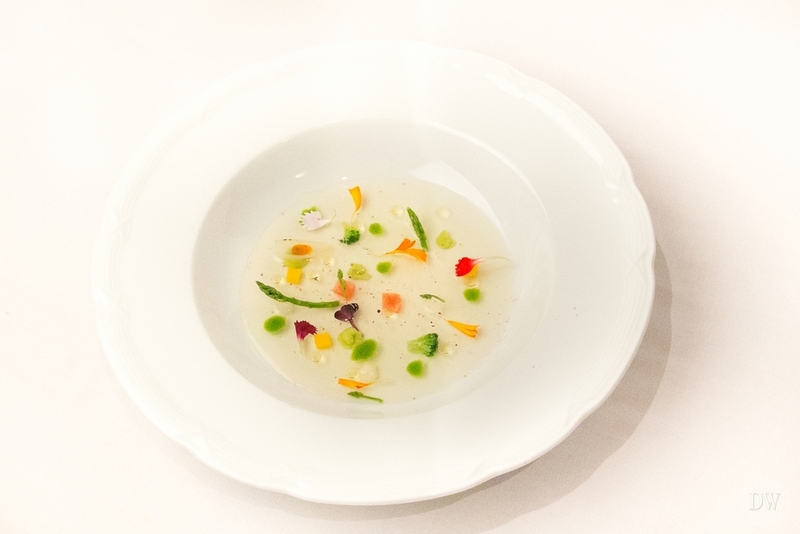 Vegetable consommé with asparagus and pumpkin paired with 2013 Araujo Estate Eisele Vineyard Sauvignon Blanc. 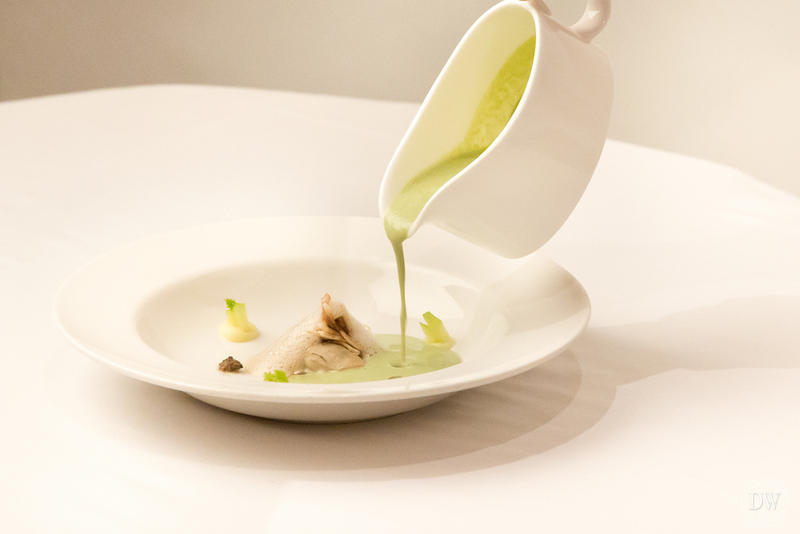 Oyster with chardonnay, iodine sauce, green apple, and champignon mushroom foam paired with 2015 Arnot-Roberts Trout Gulch Chardonnay. Shrimp with Parmentier potatoes, phytoplankton sponge cake, crispy shrimp legs, and smoked spices paired with 2013 Marimar Estate Pinot Noir Mas Cavalls. 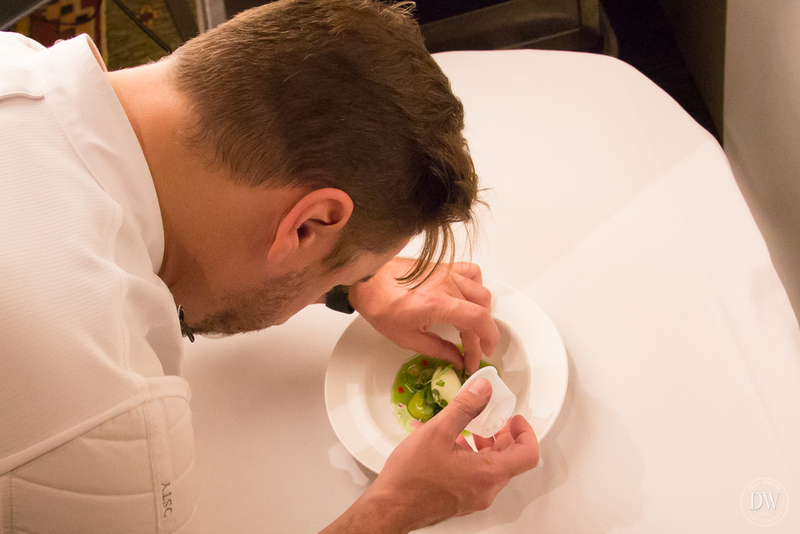 Halibut with five sauces representing the flavors of the California coast: Fennel, bergamot, orange, walnut, and green olive paired with 2014 Enfield Haynes Vineyard Coombsville Chardonnay. 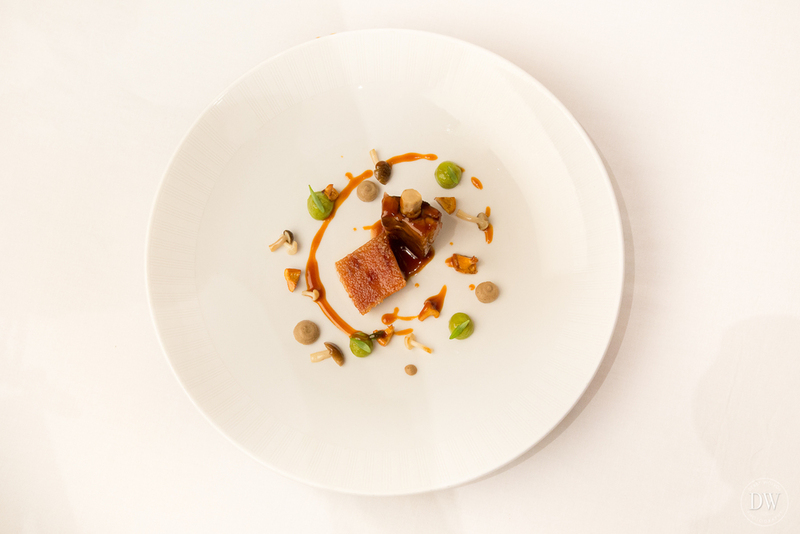 Crunchy suckling pig with sweet and sour pork belly, barbecue pork with "rib" of oyster mushroom, avocado purée, truffles and sautéed mushrooms paired with two wines - 2015 Dirty & Rowdy Evangelho Vineyard Old Vines Mourvèdre and 2008 Ridge Vineyards Lytton Springs, Dry Creek Valley. Veal knuckle slow-cooked for 72 hours with peppers stuffed with quinoa, blueberries, chili threads, and cocoa paired with Bodegas Vega-Sicilia Valbuena 2010. 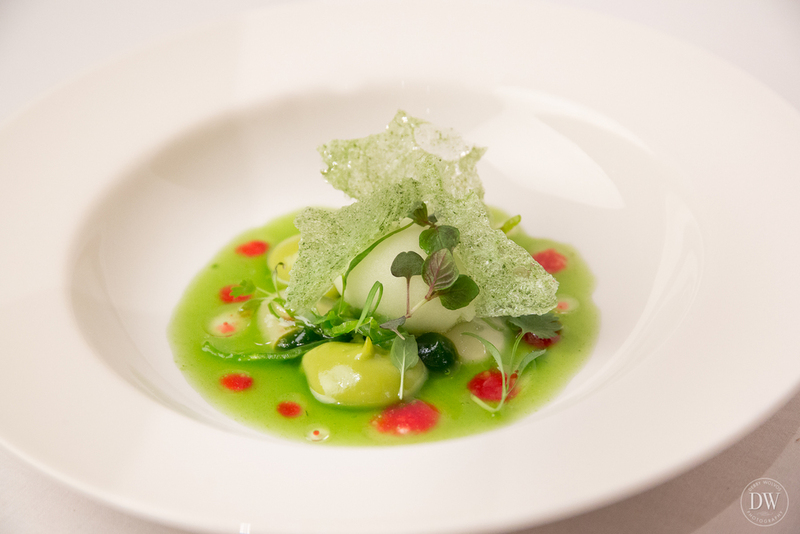 Green Chromaticism with lime soup, melon ice cream, cucumber, nopales salad, and prickly pear paired with 2014 Weingut Dönnhoff, Oberhäuser Brücke Riesling Spätlese. 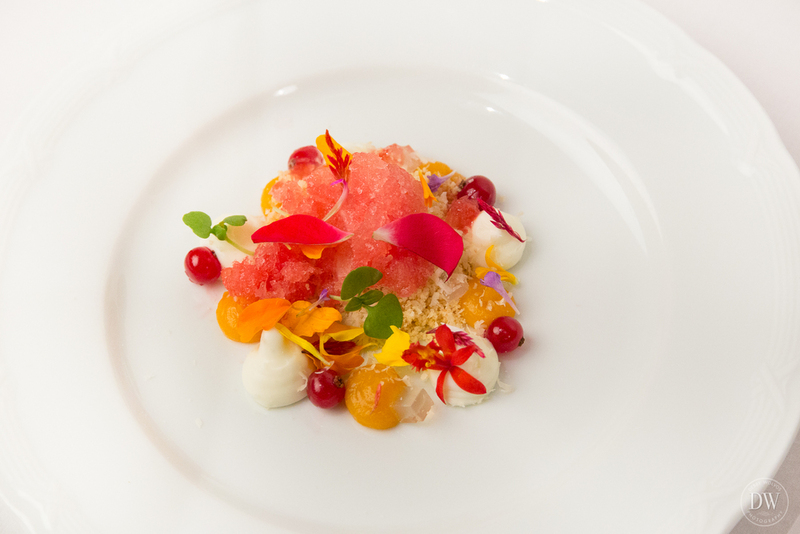 Desert Garden capturing the colors of desert flowers with mandarin, currants, and watermelon sorbet paired with 2014 Qady Essensia California Orange Muscat. Our incredible evening concluded with chocolates and a personal favorite, the decadent Gonzalez Byass Matusalem Oloroso Sherry 30 Year Old. 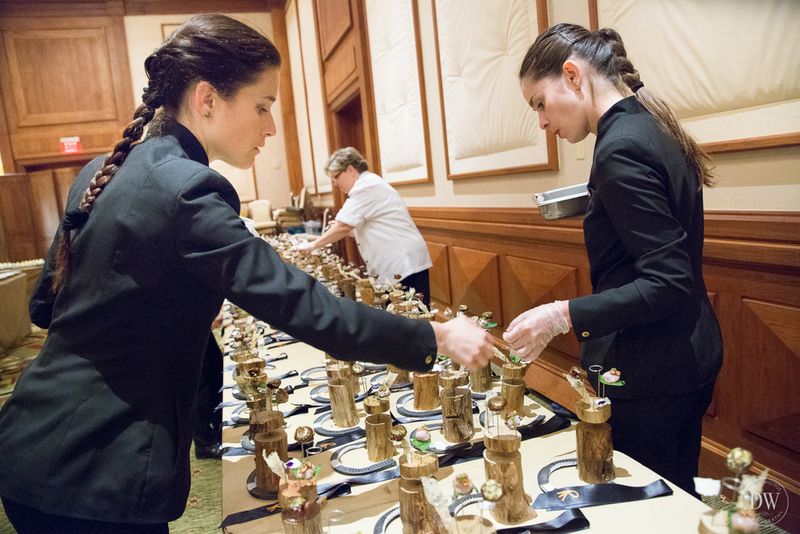 To recreate a flawless Celler de Can Roca experience, a team of over 40 people traveled with the Roca brothers, who were also supported by the staff of the Four Seasons, including Executive Chef Mel Mecinas, and 10 student volunteers chosen by the Arizona Culinary Institute. 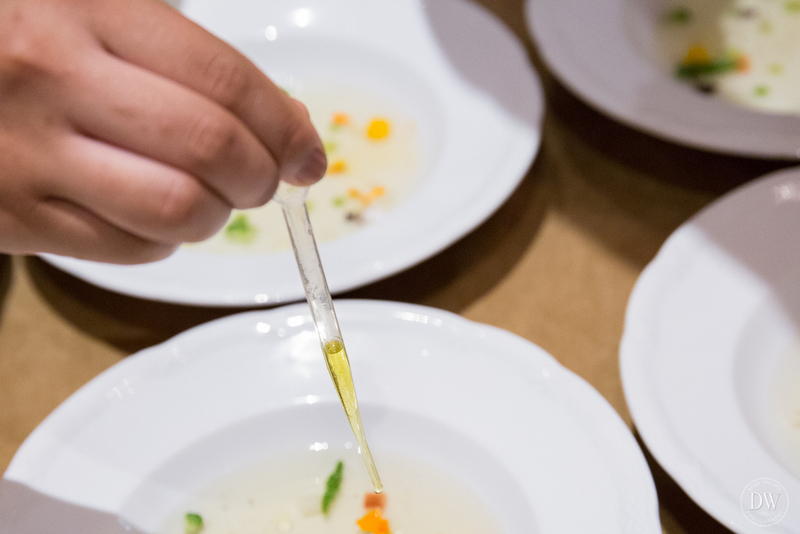 Two of those young talents would be honored with a special privilege - a BBVA scholarship to intern for four months at El Celler de Can Roca in Girona. Congratulations to Lexie Cordle and Victoria Tan! I'm so grateful to have been included in such a sublime and magnificent experience. Bravo to all involved! With Myra Fiori of illycaffè S.p.A., James Beard award-winner Chef Christopher Gross of Christopher's Restaurant and Crush Lounge, and Pamela Hamilton, founder and editor of Edible Phoenix.